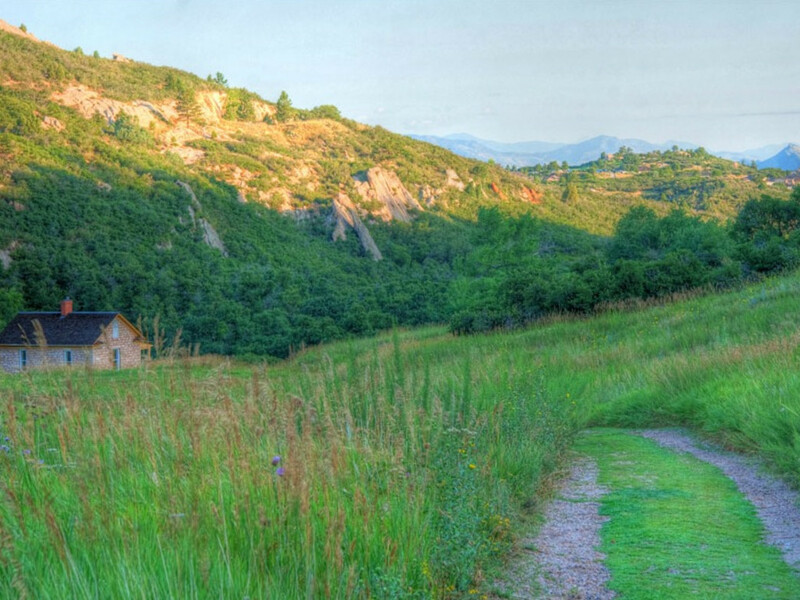 Dirt trails abound among the slopes west of Denver, beckoning trail runners to head for the hills. With so many options within 30 minutes of downtown, the hardest part is choosing where to go. Whether you’re training for a dirt marathon or just want to put a little pep in your step, you’ll find the perfect place to escape the hustle and bustle of city life. But with so many options, take a moment to consider what you're in the mood (and proper fitness level) for: smooth trails or technical challenge? Flatter terrain or gut-busting hills? And if you don't relish yielding to bikes and other users, choose a trail where only foot traffic is allowed. Here are seven great options to get started. The High Line Canal Trail stretches for 66 miles through Denver, from Cherry Creek to Chatfield Reservoir, giving runners a convenient spot to run for however long they choose. Completed in 1883, it is designated a National Landmark Trail and is owned and operated by Denver Water. The middle of the trail falls roughly at Mamie D Eisenhower Park. From here you can head south through Magna Park, Three Pond Park, and Dahila Hollow Park and continue to the Marjorie Perry Nature Preserve. Or follow your feet north into the lovely University Hills and Cherry Creek neighborhoods. To plot your course, download a map of the High Line Canal. 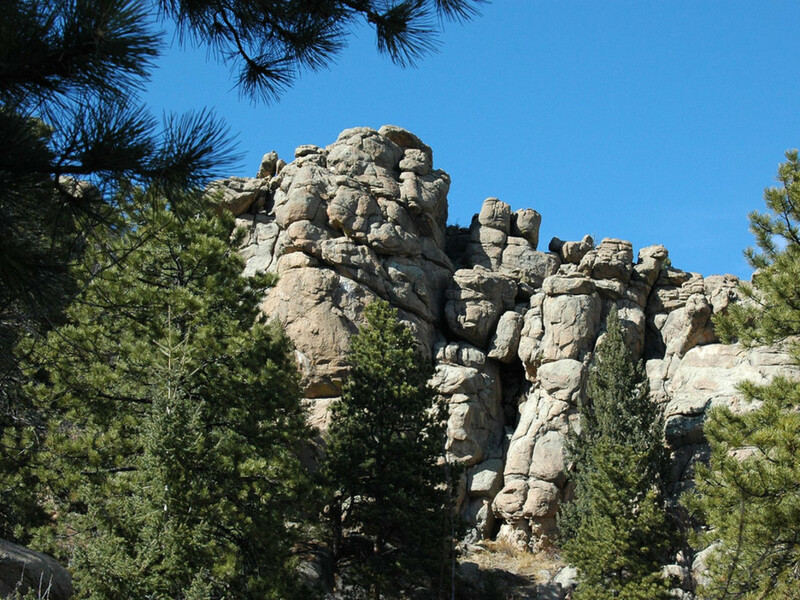 About 30 minutes west of Denver in the quaint mountain town of Evergreen, Alderfer/Three Sisters Park has 15 miles of trails on 770 acres of meadows and ponderosa pine forest nestled among stunning rock formations. Historic homestead buildings harken back to the property’s days as a cattle and horse ranch. The winding collection of trails, while a bit confusing, offers a lot of options. Begin at the East Trailhead and choose from six intertwining trails, from a moderate 3-mile run to a half-day 15-mile run. Spring and summer promise beautiful blooming wildflowers along the way. Just outside of Golden up Golden Gate Canyon Road, Mount Galbraith Park is for hikers (and runners) only, so you won’t have to share the trail with bikes or horses. The Mt. Galbraith loop is a 4.2-mile round trip that begins on the Cedar Gulch Trail and climbs 728 feet over 1.3 miles. Once you're on the Mt. Galbraith loop—a somewhat technical trail with rock stairs and ledges—you'll have views of the Continental Divide and Golden as the trail circles around the 7,260-foot Mount Galbraith. There’s not much shade on the climb, so wear sunscreen. Trees take over on the loop itself, which means snow and ice linger in the winter. Wear spikes or save your run for a sunnier time of year. 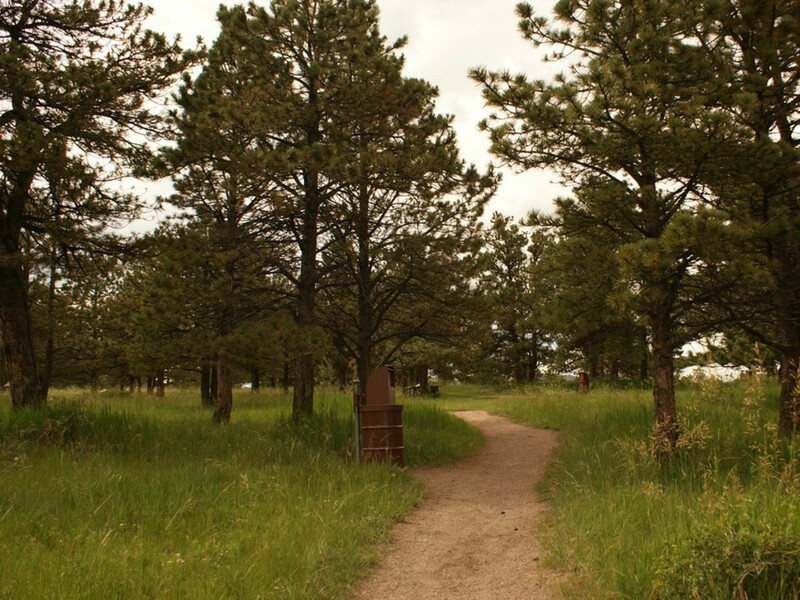 At Mount Falcon Park in Morrison, you’ll find plenty of trails to test your legs. If you prefer foot traffic only, head to the 1.7-mile Turkey Trot Trail from the east parking lot. For a good challenge, the steep 3.8-mile (one way) Castle Trail will bring on the burn. Shuttle a car or run it out and back. Or mix and match from the network on seven other trails that branch off the Castle Trail. If you’re training for a marathon, you can pound out 14 miles taking the Parmalee Trail to the Old Ute Trail to the Devil’s Elbow Loop. South of North Table Mountain on the other side of Highway 58 is South Table Mountain, another great trail running spot. 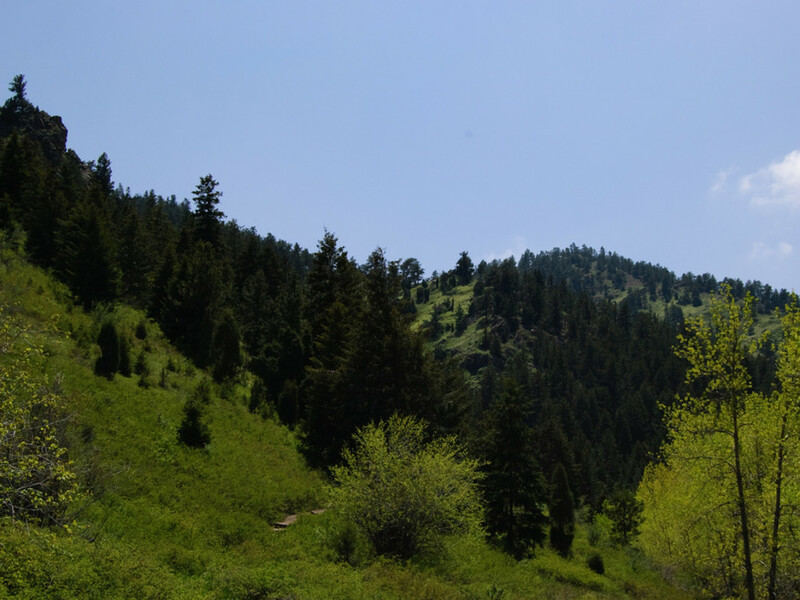 Outside of Golden, White Ranch is better known for mountain biking, but it also beckons runners, with 20 miles of trails that offer a technical challenge to keep you on your toes. To avoid having to constantly move aside for cyclists, hit the trails here on weekdays. Don’t stress about being on the right trail because it’s a loop, and there are plenty of options to piece something together. The challenging climb up the Maverick Trail is approximately 1,800 vertical feet. The 4.5-mile Rawhide Trail is relatively flat. The 4.4-mile Belcher Hill Trail is painful and steep. Run it out and back, or shuttle a car between the two parking lots. Alternatively you can return via the Sawmill trail to shave 0.6 miles off the trip. 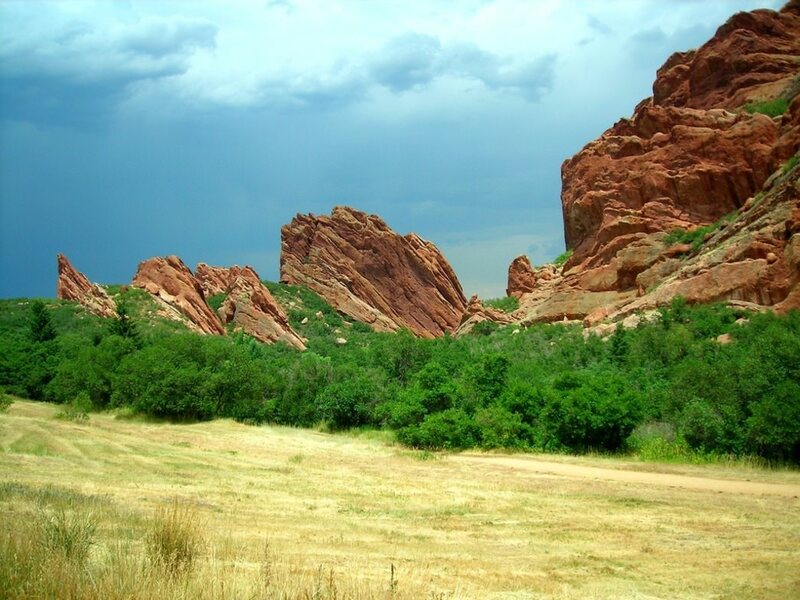 Just 27 miles from downtown Denver but a world away, Roxborough State Park is a gem, with jaw-dropping sandstone formations that jut up out of the earth. A National Natural Landmark and a Colorado Natural Area, it’s a peaceful escape, with no dogs, climbing, biking, or camping allowed in the park. Choose from six trails that range from a quick half-mile jaunt to scaling 7,160-foot Carpenter Peak and take in the unbelievable views.